The North Pole Podcast is produced by elves and about elves. 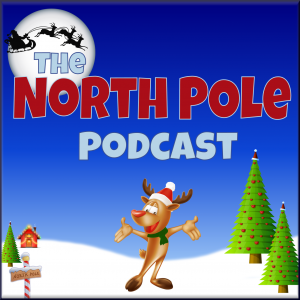 The world-famous elves of North Pole Radio News found at Kringle Radio produce this podcast under the direction of the North Pole Public Relations Department. It is part of the overall effort to share news of Santa, the North Pole, and the story of Operation Merry Christmas (how Santa does what Santa does). That news is disseminated at SantaUpdate.com. This effort began in 1991, making SantaUpdate.com the longest serving Santa tracker online. What makes it unique is that it is Santa Tracking by Santa himself. It comes from the North Pole. By elves. Just like this extraordinary podcast.